»Culture & Arts»Don’t Miss! Club GASS 25th November! Don’t Miss! 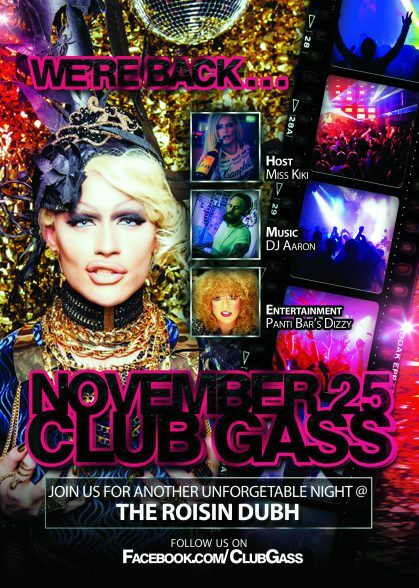 Club GASS 25th November! Don’t miss a great night at the Róisín Dubh in Galway on November 25th! The host for the night is the wonderful Miss KIKI, and DJ AARON will be spinning the discs. Entertainment will be provided by Dizzy from Panti Bar.